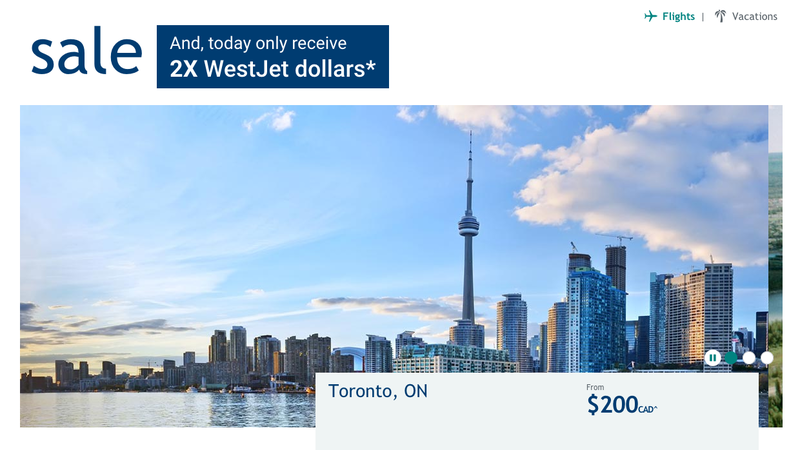 Rewards Canada: November 7 Update: 2x WestJet dollars for flights booked today, Give A Miles Flight Hero reminder + 25 new bonuses! November 7 Update: 2x WestJet dollars for flights booked today, Give A Miles Flight Hero reminder + 25 new bonuses! No news today as I strove to play catch up on a boat load of bonus offers that need posting to the Rewards Canada and FFB sites. 25 of those offers can found below in the bonus offers section. Some of the bonuses to highlight are the return of Delta's MQM stay bonus at Hilton, United's Club Carlson stay bonus and Miles & More's 4x Miles for Fairmont stays. A reminder to check out the Give A Mile Flight Hero campaign! The charity can really use donations of miles to help provide flights to those who otherwise would be unable to travel to visit terminally ill or critically sick family and friends. Rewards Canada has pledged to raise 100,000 miles and we are half way there! We are putting the call out to all of our fans, readers and even new visitors, if you can give please do so. It can be as little as 1,000 miles! You can find out more and donate here.